In earlier days, when the modern visual devices have not evolved as much as now, the aged people usually had eyesight and we used to see them wearing thick-framed eyeglasses to correct their vision. But in the modern world, we all have some sort of compulsion to use modern devices such as cellphones, computers, televisions, etc which will strain our eyes and be causing an awful lot of eye problems. Most of the people are suffering from eye sight and they opt for several alternatives to correct their vision. Most reliable of them are Contact lenses and Eyeglasses. Contact lens matches with the curvature of the eyes and offers complete coverage of the eye which helps in wider vision. The contact lens will make feel like you never had eyesight and once you wore contact lens you look like as the person with no eyesight. Eyeglasses are placed about half an inch away from the eye which causes visual distortions sometimes. Eyeglasses with strong power are thick and make you look awkward and sometimes make you look ugly. Now let us see some of the known differences between Contact lens and Eye glasses in the table given below. Contact lenses are worn using the hand and you have to touch your eye to wore contact lens which may cause irritation of the eye. Eyeglasses don't require you to touch the eye and no irritation persists by wearing eyeglasses. 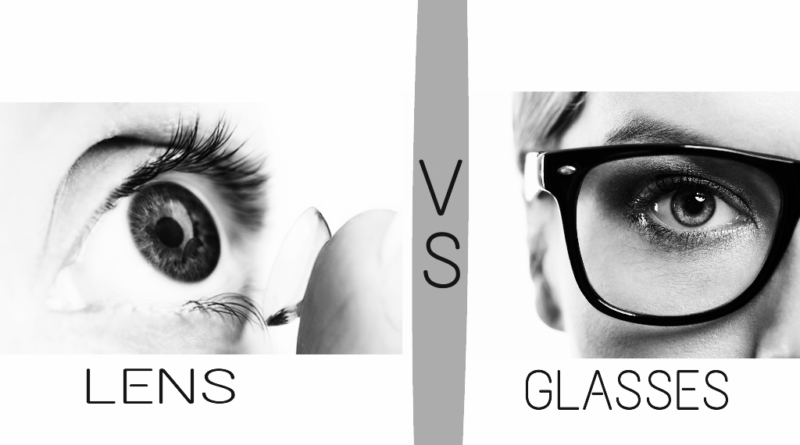 Contact lenses are very costly when compared to the eyeglasses. Eyeglasses are comparatively cheaper and economical in price. Contact lens does not offer any protection from the Ultra Violet(UV) rays. Eyeglasses of certain brands offer UV protection to protect your eyes from dangerous UV rays. Contact lenses are not affected by the temperature changes in the environment and don't fog up in cold weather. Eyeglasses catch fog in cold weather and blur the vision of the person who is wearing the glasses. Contact lens does not protection from the dust, pollution, smoke, etc present in the air. Eyeglasses guard eyes against the dust, smoke, pollution, etc present in the air. Contact lens should be properly taken care every time you wore if no care is taken it may result in serious eye infections. Eyeglasses don't need any care, all they need is a cloth to clean them when they got catch up with dust. Contact lens gives you freedom of wearing various types of sunglasses to make a fashion statement. On the other side, Eyeglasses with attractive frames make an ever lasting impression about the person who is wearing them. Contact lens helps you play sports and workouts comfortably without interfering with your vision. Eyeglasses make your vision distorted and may become uncomfortable sometimes when you are playing games, etc.